In today’s business environment, progressive CLOs are likely to also be digital CLOs. In last week’s post, we explored the importance of being thoughtful and strategic in setting the course for digitizing learning and development — and avoiding common pitfalls. However, not all digital learning strategies are created equal. To set yourself up for success, you need to consider not only what employees learn, but how they learn it — whether you’re teaching them the best way to learn in a digital environment. Flexibility is one of digital learning’s advantages, but it can also be a double-edged sword. 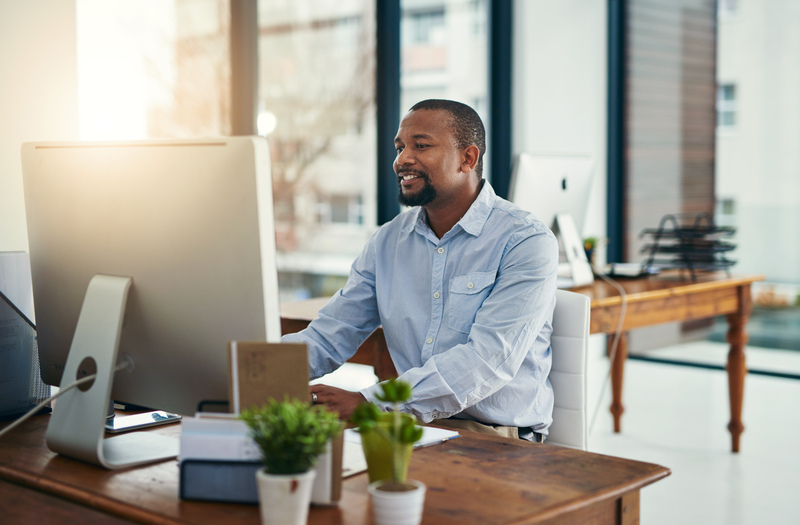 Digital learning platforms enable employees to access it whenever and wherever they like, making it easier to weave into their daily schedules and to learn in a more continuous way. However, if not deployed well, continuous learning can get lost in the daily shuffle of an overwhelming digital environment and cause more harm than good. Data from Bersin shows that today’s employees deal with a constant flood of information; 25% of their days are spent reading or answering emails, and they check their mobile phones an average of 150 times per day. This leaves little time for learners to synthesize, filter, and think strategically about how to apply the information to their jobs. Perhaps not surprisingly, research from CEB suggests that only an average of 37% of learning gets applied and 70% of line-led learning is wasted. Unfortunately, the skills that employees need the most in this overwhelming digital environment are also the ones at which they’re least effective. 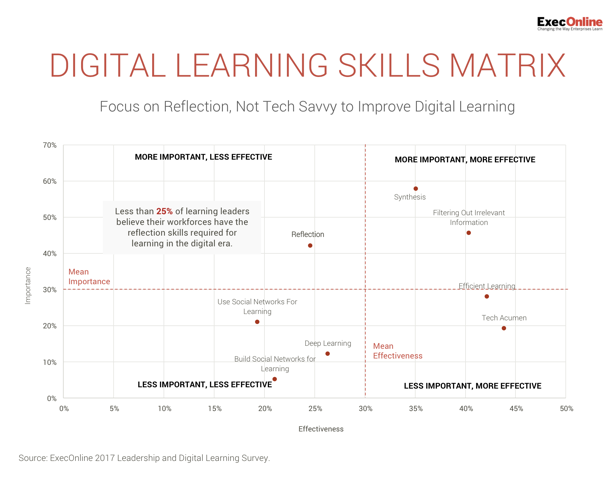 Of the 69 learning leaders participating in our recent Digital Learning Survey, only 25% believed their workforces had the reflection skills required for learning in the digital era. Opportunities to practice and apply learnings in “beyond-the-classroom experiences” are crucial to ensure that those learnings not only stick long-term, but also translate into business impact. To prevent learnings from losing out to other attentional demands in the digital environment, leaders need to engineer moments of reflection into the learning experience. In ExecOnline courses, for example, reflection opportunities are baked into learnings through a number of methods such as real-life assignments and social networking. Regardless of which strategies you might use at your company, the key is designating time for learners to take a step back and think about the bigger picture. For more data and insights on how you can succeed as a Digital CLO, check out our earlier post on Crafting a Vision for Digital Learning.